There’s an un­writ­ten law of nerd con­ver­sa­tions: nev­er ask what their fa­vorite video game char­ac­ter is if you ever plan on hear­ing the end of it. Being an iras­ci­ble hip­ster type, when I had a con­ver­sa­tion about favourite games char­ac­ters, I im­me­di­ate­ly scoured the dark­est cor­ners of my brain to come up with an an­swer peo­ple wouldn’t ex­pect. What makes a tru­ly icon­ic char­ac­ter in gam­ing? What el­e­ments make up a bril­liant char­ac­ter? 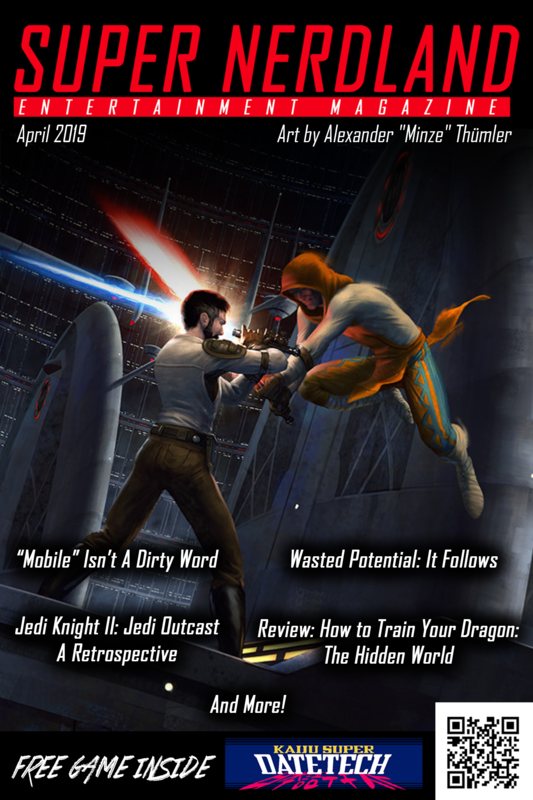 Is a char­ac­ter de­fined by a game, or vice‐versa? The an­swer to these ques­tions has evolved with gam­ing as a medi­um it­self, so let’s take a jour­ney back into the an­nals of gam­ing past. 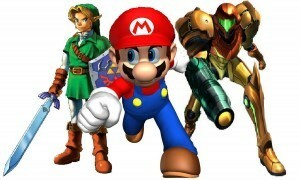 For many, cer­tain Nintendo char­ac­ters eas­i­ly come to mind: Mario, Samus, Link. They are al­most in­ex­tri­ca­bly linked with the very no­tion of video games. Back in the ear­ly days of game con­soles, it seemed most char­ac­ters be­came icon­ic sim­ply by virtue of be­ing re­leased. This too in a time when the lim­its of the tech­nol­o­gy meant that it was in­cred­i­bly dif­fi­cult to tell a com­plex or nu­anced sto­ry, and the most suc­cess­ful games were dri­ven by the game­play. If Donkey Kong would have been a mediocre game, the char­ac­ters would nev­er have be­come as pop­u­lar as they are to­day. In the ear­li­est days of gam­ing, it’s cer­tain that nov­el­ty was a pow­er­ful as­pect of a character’s ap­peal, but the abil­i­ty to re­fine cer­tain traits is some­thing that can re­al­ly make a dif­fer­ence. The rea­son peo­ple love to re­vis­it par­tic­u­lar char­ac­ters over and over again has to be based not only on a unique de­sign and per­son­al­i­ty, but how the game func­tions as well. Take Mario for in­stance. In his first ap­pear­ance in Donkey Kong (1981), he was named ‘Jumpman’, his name prop­er would come into use a year lat­er in the se­quel, Donkey Kong Jr. Tweaking the ba­sic el­e­ments can be a bril­liant thing, es­pe­cial­ly if some­thing doesn’t quite work in the first at­tempt. In ear­ly gam­ing his­to­ry, the nov­el­ty and ex­pand­ing na­ture of the field meant that if some­thing wasn’t con­nect­ing with fans, a com­pa­ny could make a few tweaks and change it for the bet­ter. Characters which were de­riv­a­tive of the more nov­el, unique trend­set­ters nev­er re­al­ly achieved the same sta­tus as the icons they were pan­der­ing. A par­tic­u­lar­ly European ex­am­ple is the Great Giana sis­ters. This was a game re­leased in 1987, and was ba­si­cal­ly a car­bon copy of Super Mario Bros. So sim­i­lar in fact that Nintendo brought a law­suit against the com­pa­ny who re­leased it. Ask any­one nowa­days, and who’s heard of the Giana sis­ters? 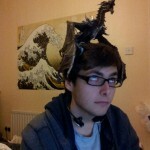 No‐one oth­er than the most geeky of games en­thu­si­asts. That sort of thing was ubiq­ui­tous through­out the 80s and 90s. The pat­tern of em­u­lat­ing pop­u­lar char­ac­ters con­tin­ues to this day, with a re­cent ex­am­ple be­ing Shadow of Mordor be­ing an (al­beit very good) em­u­la­tion of Assassin’s Creed. This was the case right through the 90s. Unique and mem­o­rable char­ac­ters dom­i­nat­ed the world of video games. Crash, Spyro, Lara Croft; all char­ac­ters which proved them­selves over and over again as each formed lega­cies through the decade. Platformers and ac­tion games had been done for a few years, these games were sold on the strength of the lead char­ac­ters, much like the Nintendo‐dominated decade be­fore it. In fact, the idea of char­ac­ters get­ting by most­ly on be­ing nov­el be­gan to change in the late 80s. The games which had been es­tab­lished were start­ing to be­come repet­i­tive, and there was a risk of the nov­el­ty wear­ing out. Games start­ed be­com­ing more and more in­tri­cate in the sto­ries they were start­ing to tell. Characters such as Link, Zelda, Samus and Sonic im­me­di­ate­ly as­cend­ed to the pan­theon of icons seem­ing­ly upon re­lease. For char­ac­ters such as these, it seems that the strength of their back‐catalogue has made it so that no mat­ter how aw­ful the games are that come out, they’ll still have the same leg­endary sta­tus. Towards the end of the decade though, the ad­vance in mem­o­ry & pro­cess­ing pow­er al­lowed much more to be ex­ploit­ed from the medi­um. Stories were now be­ing pushed to the fore­front. That’s not to say they hadn’t in the past in gen­res such as text‐based and ad­ven­ture games (Myst im­me­di­ate­ly springs to mind), but now in­tri­cate and en­velop­ing sto­ries were be­ing told in action‐adventure games. Solid Snake is a great ex­am­ple. Of course, he didn’t de­but on the PlayStation, he was in­tro­duced to the world in 1987 on the MSX2 sys­tem. Prior to his 3 di­men­sion­al de­but, he’d been a fair­ly stan­dard char­ac­ter in a pret­ty in­ter­est­ing stealth game. 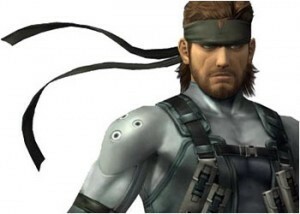 Upon the re­lease of Metal Gear Solid, he trans­formed into leg­end. I’m of the opin­ion it’s based on the strength of the en­tire game that he be­came an icon. Snake is, for all in­tents and pur­pos­es, a lit­tle bit of a blank slate. He’s a per­fect sol­dier, and that’s about it. We learn more about him as the game pro­gress­es, and he be­comes much more well‐rounded. Does that not in­di­cate a great char­ac­ter? 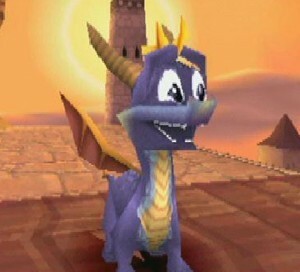 Yes, but I’d say it in­di­cates a great char­ac­ter in a great game. And that’s be­come the evo­lu­tion of what now de­ter­mines the icons of lat­ter day video games. It’s not only de­pen­dent on the char­ac­ter them­selves, but also the sto­ry you’re be­ing told. 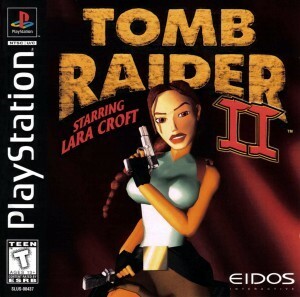 Games have be­come so much like films in this re­gard that it’s fas­ci­nat­ing. So, who are the char­ac­ters of re­cent years who will be re­mem­bered? To be classed as a mod­ern day icon, it seems like you have to come from a game which bal­ances sto­ry, de­sign and strength of per­son­al­i­ty, some­thing that’s in­cred­i­bly dif­fi­cult to do. But not im­pos­si­ble. GLaDOS, Andrew Ryan, Faith. These are char­ac­ters that emerge from bril­liant games. Are they as icon­ic as Mario? I’d say not, but that’s fine, they don’t have to be. The games are now tak­ing cen­tre stage, one can no longer stick a well‐known char­ac­ter in a sub‐par game and ex­pect it to be a block­buster smash i.e. Duke Nukem. The games them­selves have to be good. The lev­el of mar­ket sat­u­ra­tion means that the op­por­tu­ni­ty for a nov­el and mem­o­rable char­ac­ter be­comes much more dif­fi­cult in a well‐established genre. There’s much less room for games in gen­er­al to be tru­ly unique, at least in the main­stream mar­ket. That means the games as a whole must be ex­cel­lent to es­tab­lish icon­ic char­ac­ters in the mod­ern world of video games. Basically there’s much less room for nov­el­ty since so much has al­ready been done. Nowadays, true nov­el­ty is found in the in­die scene, with char­ac­ters like Meat Boy and Quote be­ing huge in the gam­ing com­mu­ni­ty, but they haven’t found the same lev­el of pen­e­tra­tion due to the small­er mar­ket. Given the right sce­nario, I can eas­i­ly en­vi­sion an in­die game spawn­ing a char­ac­ter who has the po­ten­tial to be the next Mario, the main bar­ri­er be­ing the size and com­plex­i­ty of the mar­ket. If a de­vel­op­er could get the right bal­ance be­tween nov­el­ty, de­sign and game­play, the sky’s no lim­it. Ezio, in my opin­ion, one of the great­est video game char­ac­ters of all time, and one of the char­ac­ters I im­me­di­ate­ly think of when I con­sid­er my favourite. Everything about the char­ac­ter is bril­liant. The look, his cocky at­ti­tude, the way he grows and ma­tures af­ter the events of the game. They were nev­er quite able to re­cap­ture the suc­cess of Ezio in my opin­ion, but char­ac­ters such as him demon­strate just how far we’ve come. I think there’s a heck of a lot of progress, which can only be a great thing. John is a tat­tooed as­tronomer. He hearts games, movies & beardy mu­sic. He also bakes a lot and looks through tele­scopes less of­ten than he’d like. Helps with GamerGiving char­i­ty stream­ing as well!